Home computer tips কম্পিউটার How to get a Payoneer Prepaid Debit MasterCard ? Step 1 [Personal Details] : Go to " http://share.payoneer-affiliates.com/a/clk/1wWhC6 " and sign up for an account. You have to give your correct info as appears on your Government - Issued ID . *All Details must be provide as appears on your Government - Issued ID . Step 2 [Contact Details] : Provide your Contact Details . In this address, your MasterCard will send. Step 3 [Security details] : Answer some Security question. Almost Done !! Once you applied for a MasterCard, you have to wait for some days. They will notice you by Email you provided. It may take 5-6 Days to approve your application. You have to provide a copy of Government - Issued Id by email or upload link provided by them. Once your application approved, you just wait for your card. How to get a Payoneer Prepaid Debit MasterCard ?Payoneer MasterCard is a Global solutions for professionals and small businesses to receive funds, with local options to spend and withdraw. Receive funds from thousands of companies worldwide Spend online, in-store and withdraw at ATMs with the Payoneer Prepaid MasterCard® Card Withdraw funds to your local bank account, in your local currency. 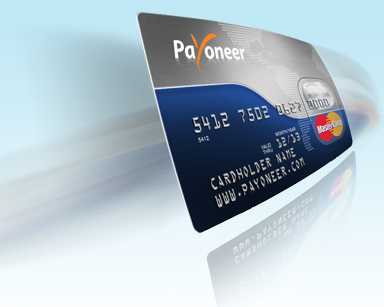 How to Get a Payoneer Prepaid Debit MasterCard ?